Samhati, an all-volunteer non-profit organization, was founded in 1984 by a group of Bangladeshi women living in the Washington DC area. “Samhati” means “solidarity” in Bengali. 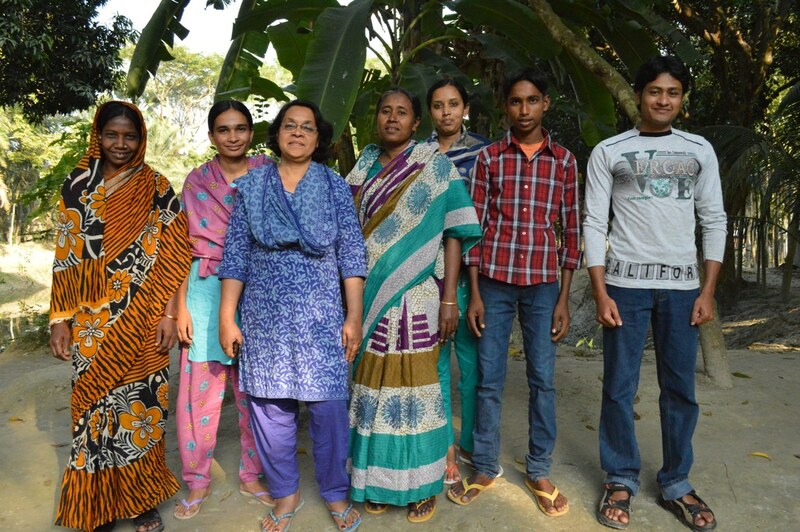 Grounded and inspired by the idea that women can empower themselves and gain greater agency through education, Samhati’s mission is to fund and support small projects that improve the social and economic conditions of poor women and children in Bangladesh. Samhati believes that the entire family and community can benefit when the female head of household is given education and other skills. 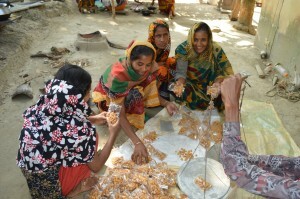 Samhati supports three major eco-empowerment projects located in Natore, Rangpur, and Katakhali. The Katakhali Project, which was commenced in 2000, works to empower women and their families through adult literacy classes, skills training, leadership development, scholarships for poor children, a pre-school, and free or sliding fee health services though a Health Center. Katakhali is a remote village located on Barobaishdia Island, Patuakhali District. The island is about 25 miles long and two miles wide. In Katakhali, most people lead a subsistence life based on fishing and farming. The nearest hospital is a distance of 10 hours journey. There was no doctor, nurse, or medical care in the village at all until the Katakhali Program was commenced. Katakhali has no roads, no electricity, no running water, no sewerage, no cars or even rickshaws. In the last twenty years, the population of the area had greatly increased and the soil has become infertile from repeated cyclones. There were few opportunities for families to make a living. Women and girls were the worst off. Their life expectancy and literacy rates were shockingly low, and they had had little power over their own lives. 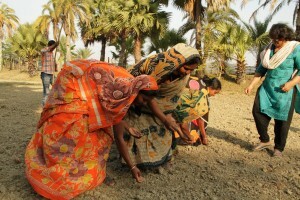 Samhati commenced the Katakhali Project with a local NGO partner. Over the years, the women have become leaders and currently the project is run by a cooperative of local village staff and volunteers. From 2007-12 the project received support from the International Monetary Fund’s Civic Program, but is otherwise funded solely by individual donors. Classes in ecological vegetable and fruit farming, sewing, fabric printing, candle-making, confection making, and fish and crab cultivation have allowed the women of Katakhali to not only provide for themselves and their families, but to produce an abundance for the sale of these products, bringing in extra income. The farming and fish-cultivation classes teach the villagers adaptation to the impacts of climate change, which has salinated the soil and reduced the availability of fish in the ocean and adjacent rivers. These classes have improved health in the village by diversifying food, resulting in better nutrition and creating a significant increase in the quality of life for the community. Many adult women have learned to read, enabling them to value a greater role of education for themselves and their children. The training which occurs at the cooperative promotes self-sufficiency and sustainable practices. 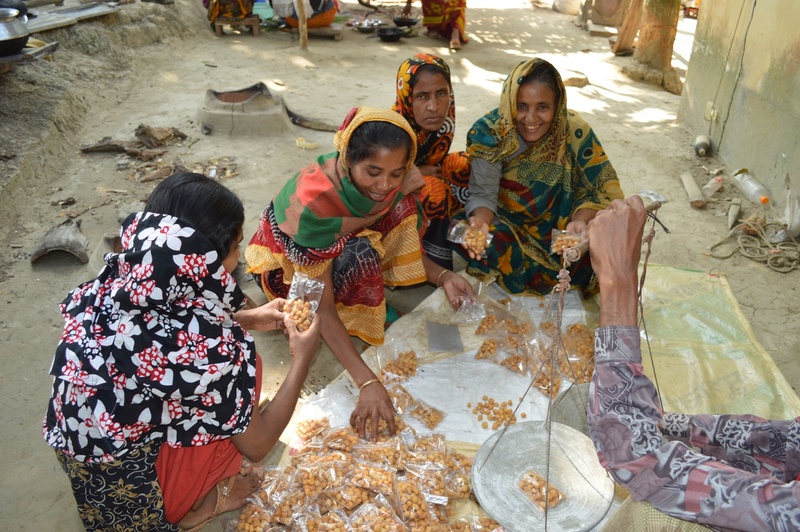 Samhati’s Katakhali Project is an innovative program which takes a participatory approach that leads to collective empowerment. The Katakhali Project includes the Health Center which provides medical services to approximately 500 families, in Katakhali and the surrounding villages, who would otherwise receive no medical care. The Health Center provides prenatal and postnatal care for women, infant care, sick visits and checkups for children and adults, as well as vaccinations. 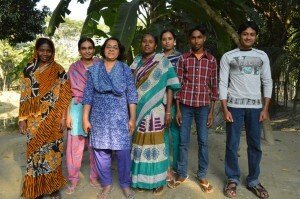 Family planning is free in Bangladesh, and the Katakhali Project leaders ensure that the government officer comes weekly to provide free counseling and services. Training is also provided by the clinic on preventative health awareness, as well as nutritional strategy and information. Since the creation of the Katakhali Project, the birth rate in the village has greatly reduced and the average number of children is now approximately two per woman. The Health Center served as a shelter for most of the villagers during cyclone SIDR in November 2007, cyclone AILA in May 2009, and cyclone Mahasan in 2013. No one in Katakhali perished during these cyclones, and the Health Center provided immediate treatment for the villagers’ injuries. Through the Katakhali Project, Samhati annually provides $2,000 to fund scholarships at $70 each to 29 children. This small stipend allows these 28 children to attend middle and high school in Katakhali rather than work to help their families. In total, 172 children have received scholarships from this program, and 55 children have been able to finish high school. The scholarship recipients have gone on to find jobs, have taught their parents to read, and have brought about a tangible change in the community. Although progress of the Katakhali Project has been hampered by a succession of natural disasters, Samhati was able to effectively deliver timely relief. In addition, Samhati designed and rebuilt 52 homes destroyed by the cyclones, deeding these sturdier homes to the female heads of household, a revolutionary gesture in the community. Having the homes in their own names, and most importantly, having the cooperative – a place to go everyday – has been an important factor in empowering the women of the village. Not only are they enriching their lives through education, but they are learning to demand greater rights and services from the government, earning additional money for their families, and gaining both confidence and mobility. 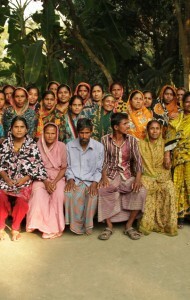 The Katakhali Project is currently coordinated by Mahmuda Lina and Matoara Islam, both of whom grew up in Katakhali.